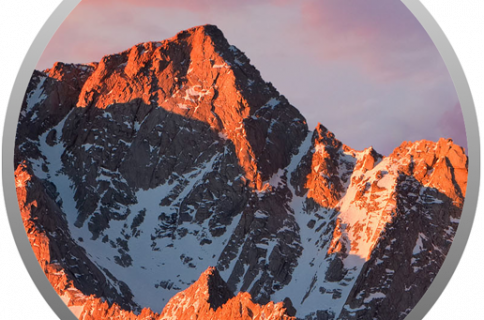 Love it or hate it, the Photos app is a tool Apple includes in the stock installation of macOS on every Mac. 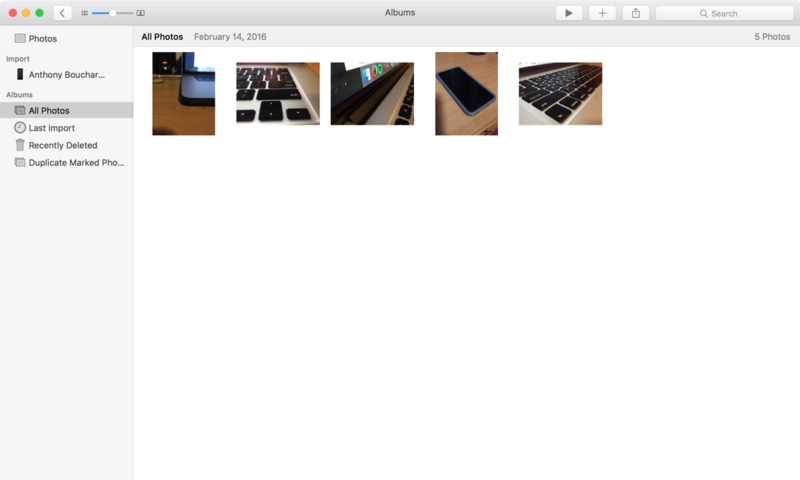 It’s a way to view and manage your photos and videos on your desktop, and the app even makes importing photos from iCloud or your iOS devices very simple. Unfortunately, bugs and user error can sometimes leave you with photo duplicates in your Photo Library, and if you’re one to take a whole lot of photographs, then you might not even realize you have duplicates. 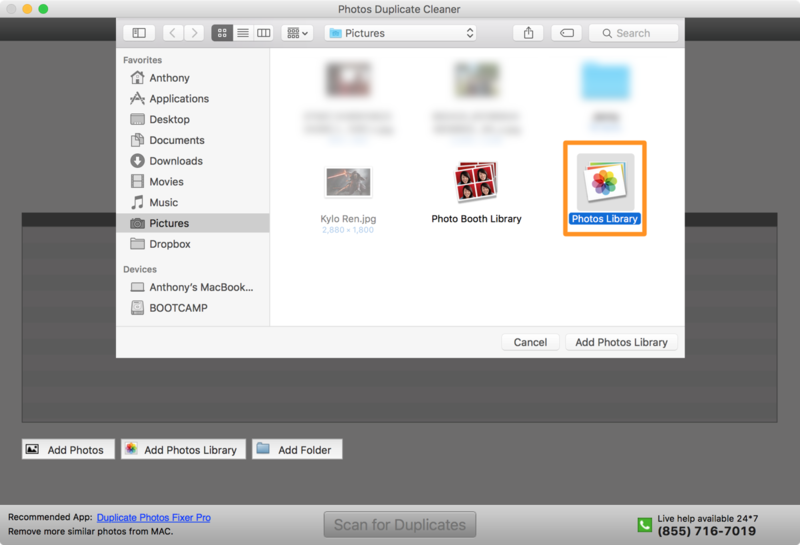 These duplicates easily eat up valuable space on your Mac’s storage drive, so in this tutorial, we’ll be showing you how to quickly and easily examine your Photo Library for duplicate photos and remove the duplicates. How do duplicate photos happen? Duplicate photos can occur from a variety of reasons, whether it’s an importing bug that causes duplicates of your photos to occur without your intervention, or you simply forget you have the photos on your computer already before re-importing them once again. If you have a lot of photos, you might not see that you already have a set of photos on your Mac and you might import them a second time by accident. Duplicate photos can happen for a variety of other reasons too, but what’s more important to know at this point is that you can quickly and easily remove photo duplicates with a few clicks of your mouse or track pad without having to spend seemingly endless hours sifting through your Photo Library to find them. Since you don’t want to spend hours looking through your potentially lengthy Photo Library all by yourself, you should call upon the help of a third-party app that is built to detect duplicate photos and help you get rid of them. 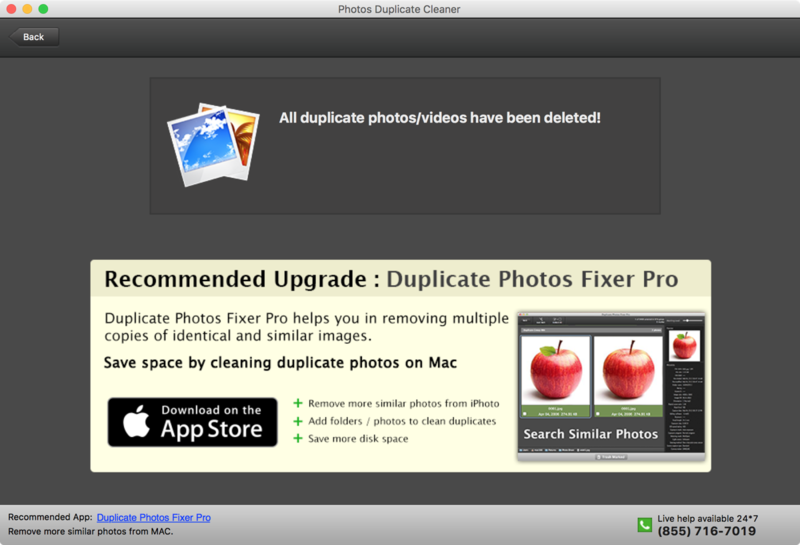 One good example we found is Photos Duplicate Cleaner, which can be had from the Mac App Store absolutely free of cost. 1) Launch the Photos app and do a quick scan. You might be able to see some duplicates right off the bat. 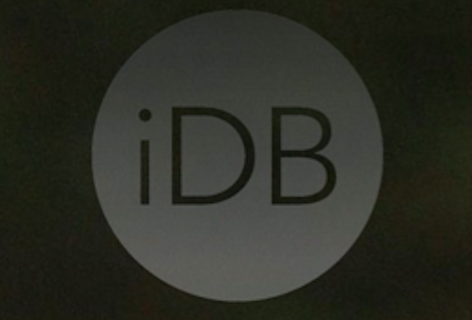 In our example, you can see we have a duplicate of two photos in our Photo Library. 2) Download and install Photos Duplicate Cleaner from the Mac App Store if you haven’t already, and then launch the app via your Applications folder, or by searching for it using Spotlight. 3) From the app’s interface, click on the “Add Photos Library” button. 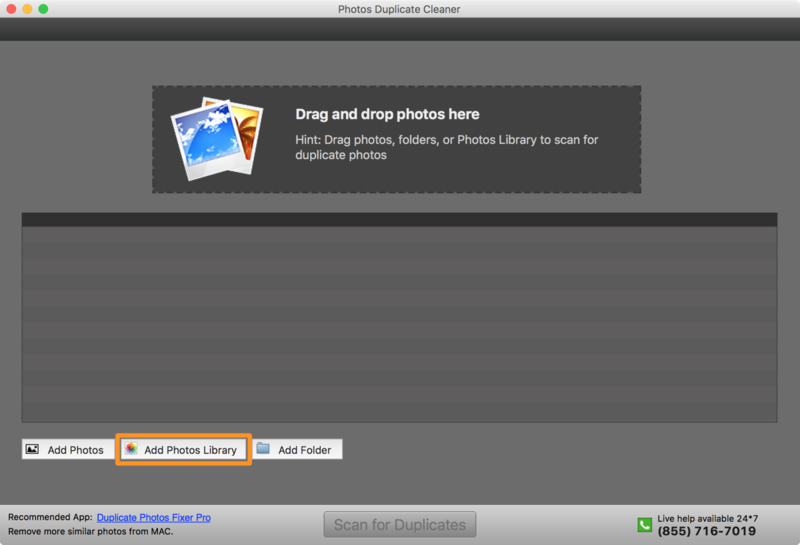 4) In the Finder browser that appears, double-click on your Photos Library to open it. 5) After processing your Photo Library, you should see its path checked off in the app’s path list. If it’s correct, go ahead and click on the blue “Scan for Duplicates” button at the bottom of the app. 6) If your Photos app is still open, you’ll get the following warning. Click on the “Quit & Retry” button to close Photos and continue. If your Photos app is not still open as of this step, you can skip this step completely. 7) After the Photos Duplicate Cleaner processes your Photo Library, you can relaunch the Photos app from your Applications folder, Dock, or by searching for the app with Spotlight. 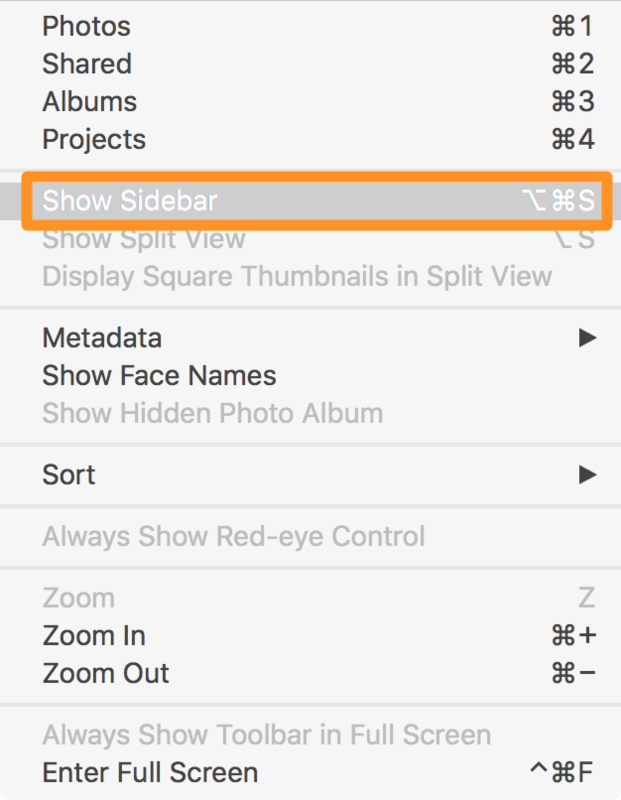 8) With the Photos app open in the foreground, go to the Menu Bar and click View > Show Sidebar to enable the sidebar in the Photos app if it’s not already enabled. 9) Now with the sidebar enabled in the Photos app, click on the “All Photos” option in the sidebar. 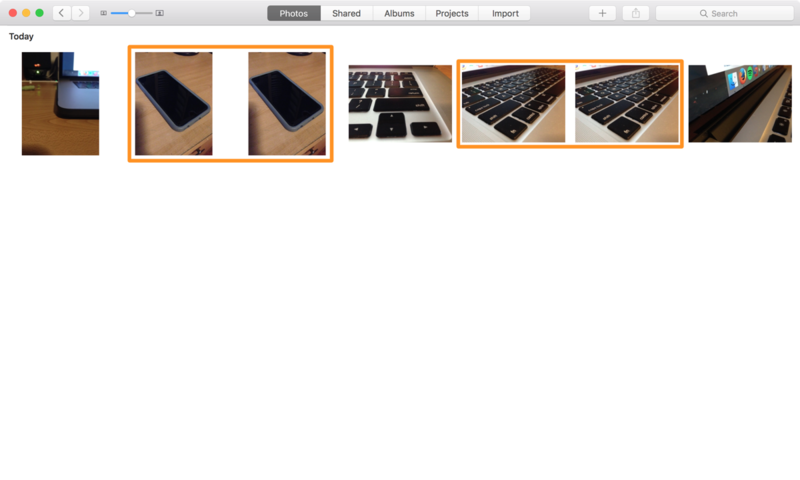 10) Go back to the Photos Duplicate Cleaner app and you’ll see all the photos it thinks are duplicates. Go through these duplicates manually and put a check mark in the boxes of the photos you want to delete the duplicates of. Unselected photos will have a green border, and selected photos will have a red border. 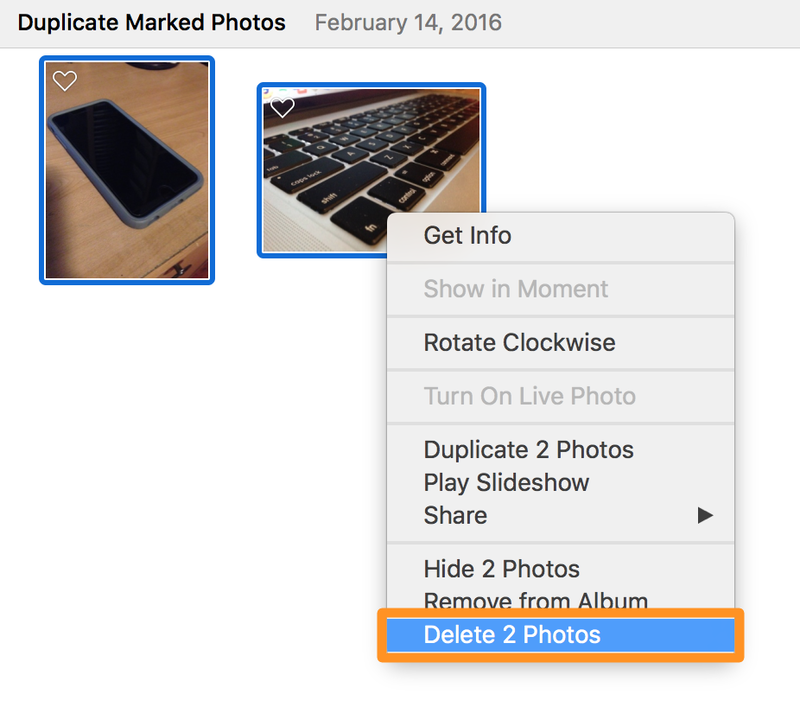 11) When satisfied with your selection, click on the blue “Trash Marked” button at the bottom of the app and it will process the duplicate photos into another folder named “Duplicate Marked Photos” in the Photos app. 12) When finished, the app will tell you it has completed its task. 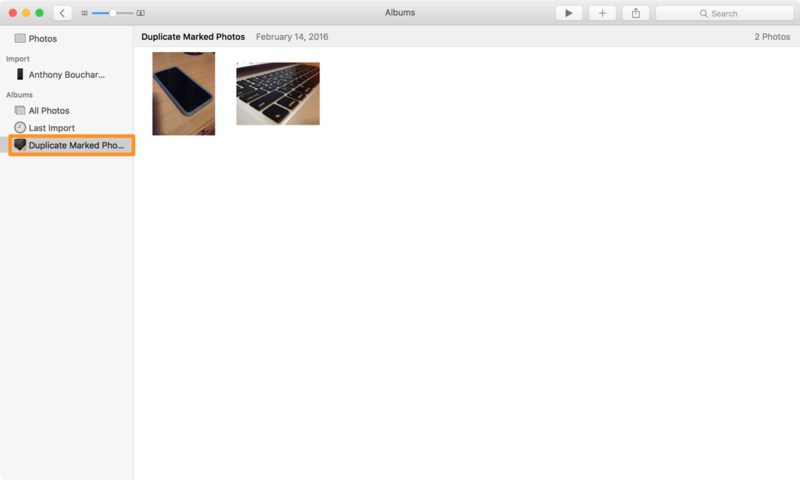 13) Now go back over to your Photos app and notice the new “Duplicate Marked Photos” folder in the sidebar. Anything that appears in this folder is what Photos Duplicate Cleaner “deleted.” The photos weren’t actually deleted yet – they were just added to this folder instead. Note: The next step you take will actually delete these photos, so proceed with caution from here on out. 14) Select all the photos in this folder, then right click on one of them, and click on “Delete X Photos” from the menu list. 15) Voila! All duplicate photos have now been removed from your Photo Library in your Mac Photos app, and best of all, you didn’t have to spend a whole lot of time searching through your photos because the app did that for you. Who will want this app? 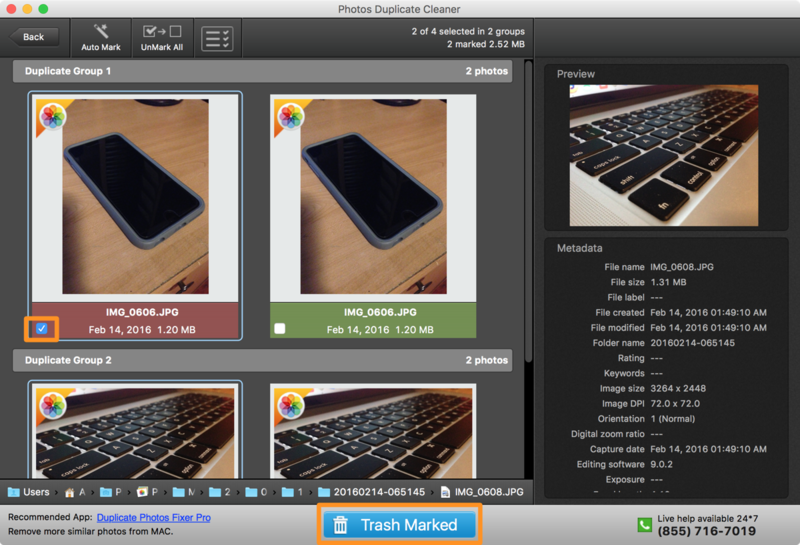 Obviously, the free Photos Duplicate Cleaner app isn’t a necessary part of the process; if you wanted to sift through all your photos by yourself, you could most certainly do that. 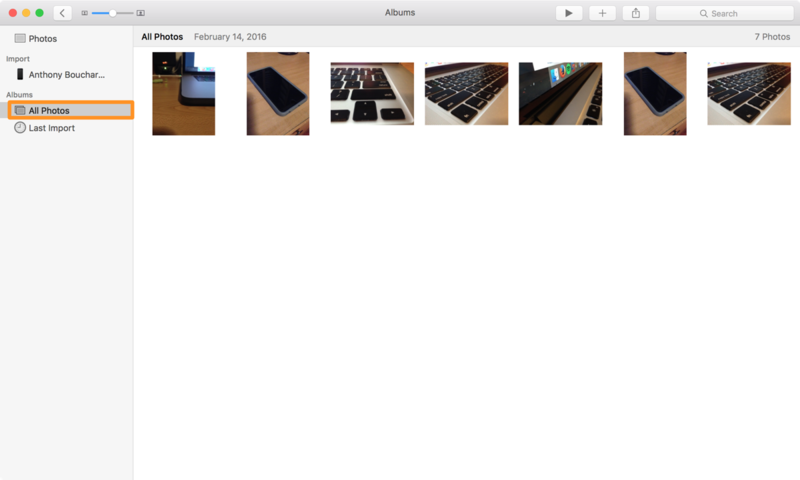 For Photos app users that don’t have many photos and videos in their Photo Library, taking care of the problem by yourself may be a feasible option. On the other hand, this tutorial is pointed more at the people that have loads and loads of photos and videos in their Photo Library and feel like it would be a full time job for the day to sit there and spend time sifting through all their photos and videos to look for any duplicates that may have ended up there. 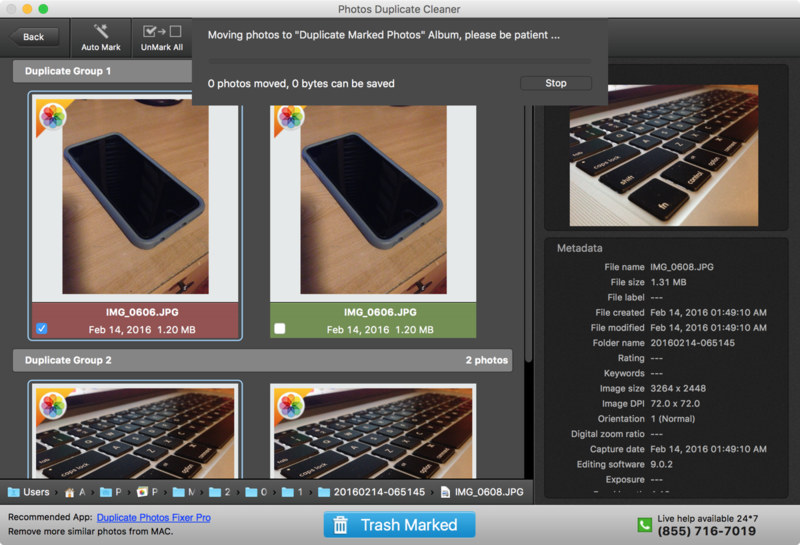 Photos Duplicate Cleaner simplifies the process of finding duplicates in extensive Photo Libraries because in just a few clicks, it’ll search and destroy them for you. The whole process takes under 3 minutes if it’s done right, which is a lot better than spending eons doing it yourself in an extensive Photo Library. For when duplicate photos end up in your Mac Photos app and there are too many for you to waste your time sorting through them all manually, a third-party app will get the job done in much less time than you could sort through your photos and videos on your own. While we’re well aware that there may be other app alternatives out there for this purpose, we selected one that was free of cost and that we felt would be easy for anyone to use. If you found this tutorial helpful, please let us know in the comments below!